The year is already off to a hot start for single-family home sales. In the spring a young person’s fancy lightly turns to thoughts of residential real estate. 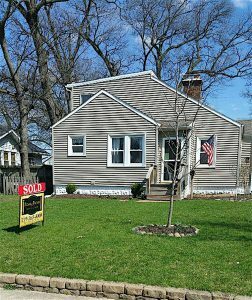 And young people, in particular the millennials who had largely been absent from the residential real estate market, will be driving what is expected to be another strong market in Northwest Indiana’s single-family home sales in the spring and summer of 2016. Spring and summer tend to be the busiest seasons for residential real estate sales as families get settled into new homes before the start of a new school year. But even January and February were extremely strong in Northwest Indiana, with double digit growth in activity from the previous year, according to Peter Novak, CEO of the Greater Northwest Indiana Association of Realtors. ANOTHER SOLD SIGN IN GRIFFITH The home-buying market within the region is quickly transforming, as renters become first-time homebuyers. There was no particular area that was significantly stronger than others in the region, Novak added. Residential real estate activity was strong throughout Northwest Indiana. Among the driving factors was the continuing increases in rents, and continuing low interest rates despite the Federal Reserve’s quarter-point increase in December of 2015, making home ownership more financially appealing than renting. Rents had moved up because the economic downturn, at the end of the last decade, had left many people without the financial wherewithal to make a down payment on a single-family home; many homeowners who would have traditionally “moved up” were underwater on mortgages written when homes were overpriced, leaving these owners owing more than they could make by selling the home; and credit requirements for home mortgages had become extremely strict. But much of that has changed. According to Novak, the average home price in Northwest Indiana improved to a record $140,000 in 2015, surpassing the previous record of $137,000, set in 2006, right before the start of the downturn. Additionally, though not returning to the very easy credit of the early and mid-2000s, lenders have started to ease up a little on their credit requirements, Novak adds. Lenders are looking more favorably on self-employment income than they had been and are once again considering regular utility payments and rental payments as positive indicators that a potential borrower is an acceptable credit risk. So the mortgage might carry a higher interest rate than for someone with more pristine credit, but automatic denial is no longer the rule of thumb. The oldest millennials are entering their 30s, entering the family formation portion of their lives, and are starting to land solid jobs, making home ownership more affordable, Novak adds. Yet many are still saddled with college debt–estimated to be $1.2 billion nationally–so they are entering the home purchase market at older ages than their parents did. But some of the earlier reports that they were not entering the home market at all and preferred to rent were highly inaccurate, according to Brooke Metz, Realtor with Rossi & Taylor Realty Group in St. John, a millennial herself. “I see part of my job as educating people about the truth of home buying,” Metz explains, pointing out the chance to build equity as a mortgage is paid down, which doesn’t happen when people pay rent. While the college debt issue is certainly an issue for many millennials, lenders are more willing to work with people to find credit solutions that enable young people to buy starter homes, according to Metz. Trusted lenders will also educate potential buyers about the risks and benefits of home ownership. Building equity enables home purchasers to eventually move from their starter home to their “forever home,” Metz adds. Though tastes among potential home buyers differ, every five to 10 years, there are home styles that become extremely popular. According to Metz and to Kim Odegard, managing broker for Keller Williams Preferred Realty in Schererville, the current trend is toward homes that are in move-in ready condition. Buyers aren’t looking to “save” money with “fixer-uppers,” because they typically don’t have the time to do that themselves and don’t want to go through the time, cost and hassle of hiring contractors to make fixes. Another factor helping the residential real estate market in Northwest Indiana and nationally are continuing low mortgage interest rates. Mortgage interest rates ticked up ever so slightly in early March but still remained near a 3-year low, according to a new report from Zillow. According to Zillow’s report, mortgage rates for 30-year fixed mortgages went up slightly in March, with current rate borrowers quoted on Zillow at 3.47 percent. Additionally, in a speech in late March, Federal Reserve Chair Janet Yellen said the government would take a very measured approach to interest rate increases for the remainder of the year, likely meaning mortgage rates will continue to stay low throughout the remainder of the year. If there are any interest rate hikes, they are likely to be only a quarter of a point. According to Zillow’s report, borrowers on Zillow were quoted an average 15-year fixed mortgage rate of 2.69 percent. For 5/1 adjustable-rate mortgages, the rate was 2.78 percent. The results of Zillow’s report mirror the most recent interest rate data from Freddie Mac’s Primary Mortgage Market Survey, which showed that the 30-year fixed-rate mortgage dropped to 3.62 percent for the week ending Feb. 25, 2016. Even with the low rates for conventional mortgages, many buyers, especially first-time homebuyers, need to use Federal Housing Administration (FHA) financing. And FHA inspectors are extremely strict with their approvals, and want homes in move-in condition. Another trend for young and older buyers alike is to have main floor laundry rooms to minimize the need to go up and down stairs, Metz adds. As it has for many years, Northwest Indiana continues to benefit from people looking to escape the higher property taxes of Illinois, according to Metz and Odegard. Many of those coming in from Illinois continue to work in the state, so some look for properties just over the state line or with easy expressway access, helping home sellers in north Lake County, Odegard says. Dyer, Crown Point and St. John are popular for people looking for new homes, Metz and Odegard add. However, the level of home building, while up from a few years ago, still pales in comparison to what it was 10 to 15 years ago, according to Novak. New construction is critical to keep rents and home price increases in check, Novak adds. While home sellers like increasing prices for their homes, Novak cautions that if prices increase too fast and if real estate activity is too strong, there’s a stronger chance for another downturn. “We would rather see slower, more steady growth,” Novak says.